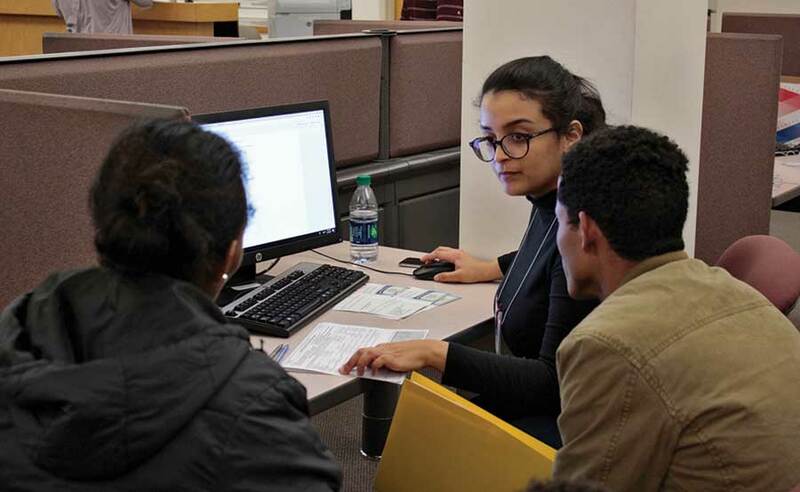 UM Master of Accountancy student Sahar Qasem Muthna helps a refugee family file taxes. Taxes are complicated enough for citizens born and raised in America, so for the refugee community of Missoula, filing taxes can be an overwhelming prospect. The UM Volunteer Income Tax Assistance program partnered with the International Rescue Committee this year to ensure Missoula refugees a smooth introduction to the American tax system. Kate Jennings, senior director of development at the UM College of Business, helped initiate the refugee tax program. She’s a family mentor through the IRC and knew the college’s VITA program could help. VITA is a collaboration between the College of Business and the IRS that offers free tax help to those with low-to-moderate income. The IRC was eager to partner with VITA. The year-old Missoula organization is the only refugee resettlement chapter in Montana. It assists refugees during the resettlement process and provides support for successful beginnings in the United States. In the past year, more than 100 refugees have come to Missoula through the IRC.